Home / Giveaways / Zoobean Giveaway! 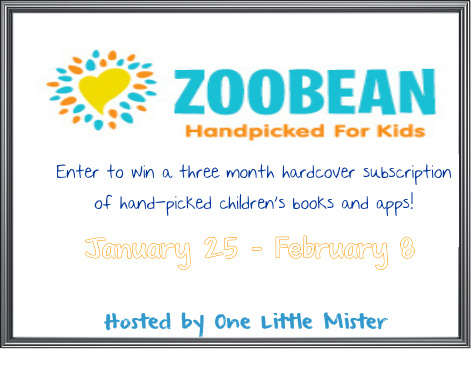 Welcome to the Zoobean Giveaway! Handpicked, curated children’s book and apps delivered right to you every month! Handpicked and curated book choices based on your individual child’s interests and reading level,. Makes it easy to provide your child with books they will LOVE! Coordinated apps keep children engaged and excited about reading! Please check out the full review at One Little Mister. Enter to win via the rafflecopter below! Disclosure: One Little Mister and participating bloggers were not compensated for the promotion of this giveaway. All opinions are our own and were not influenced in any way. The sponsor will be responsible for fulfillment. Previous post: Do you, do you?